Welcome to Vibe Elevated! On the Vibe Elevated about section, you can learn about the mission of Vibe Elevated and raise your vibe, elevate your life. Meet Sarah Farris, the founder and owner of Vibe Elevated as well as a Seattle-based Reiki Master Teacher and professional intuitive. As a professional intuitive, Sarah offers distance Reiki sessions to a worldwide client base as well as intuitive energy readings. Sarah holds a Reiki attunement lineage that can be traced back to Mikao Usui, the founder of Reiki. Sarah Farris of Vibe Elevated has been featured on mindbodygreen, Sivana East, The Seattleite, and more. To acknowledge our individual responsibility for the energy we bring to the table each day of our lives. To choose to live in energetic integrity, understanding that the choice we always have in each moment of life is how we choose to respond. Raise your vibe, elevate your life. Vibe Elevated serves clients worldwide and is dedicated to helping people elevate their vibes and step into their innate power through energy awareness. Kindly note that all offerings serve a worldwide client base. FOR YOU IF: You want a highly personalized, 1:1, multi-month program. You hold a professional role as a leader, manager, or entrepreneur and are ready to take your career to the next level by intuitively transforming the way you lead, connect, and navigate in the workplace. FOR YOU IF: You want access to information or resources and like to learn at your own pace in your own space. You feel like your intuition isn’t consistent, you can’t trust it, or you identify as an empath and are looking for tools and skills you can use to work with your energetic and intuitive sensitivities instead of fighting them. FOR YOU IF: You are interested in 1:1, private work via an energy reading or Reiki session. You are curious about your energy and want to finally release patterns, habits, and beliefs that have been holding you back for years. You want to get intuitive information and guidance around one or many situations, people, or environments in your life. Sarah is the owner and founder of Vibe Elevated as well as an intuitive consultant and Reiki master. She has been attuned to the master level of Reiki and is a member of the lineage that can be traced directly back to Mikao Usui, the founder of Reiki. 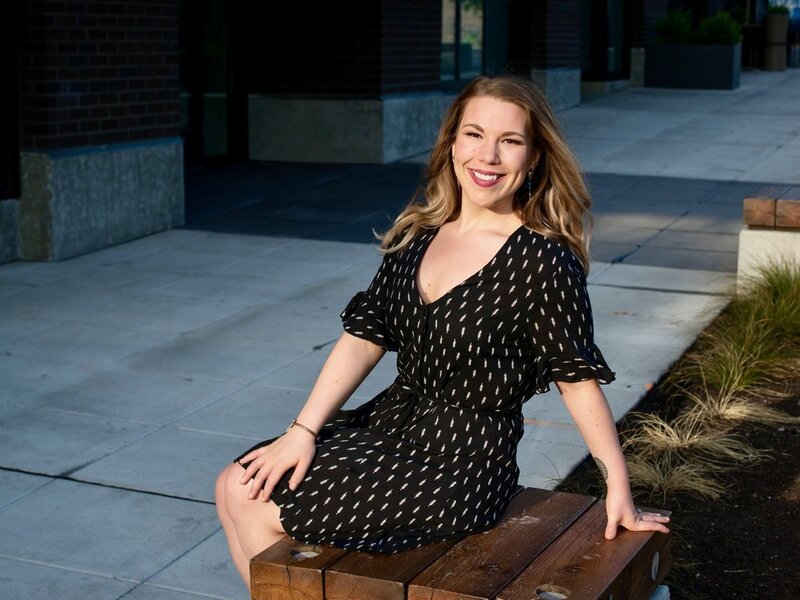 She has been featured by mindbodygreen, Free People, and Women Catalysts and was rated as the #1 Reiki Master in the greater Seattle area two years in a row. Sarah holds a Bachelor of Science degree from the University of Wisconsin-Madison and has studied under Reiki master and RN, Marie Manuchehri as well as NLP practitioner and co-developer of the CSI™ method, Michele Morgan.